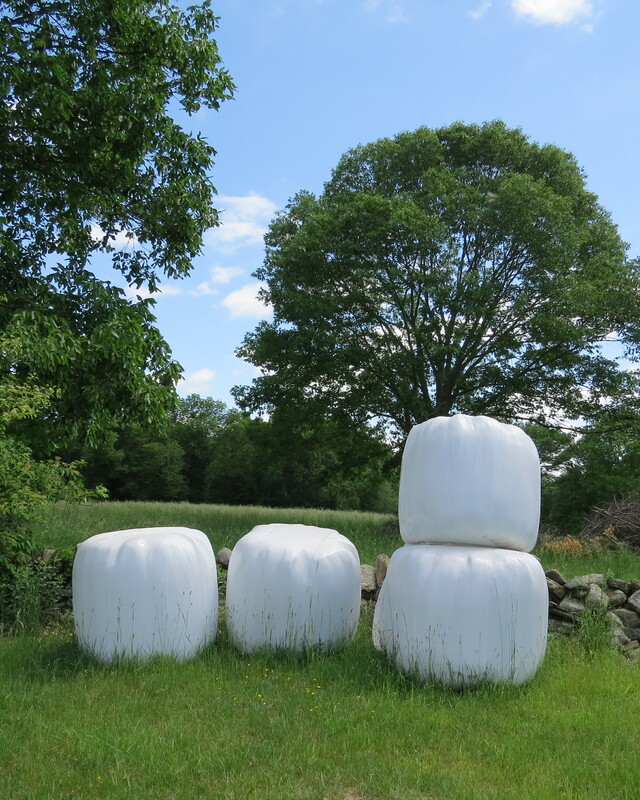 Yesterday, I decided to check out one of my favorite spots to take photos of rolled hay packed in white plastic. A quick 6 minute drive from my home @ 44 Chaplin Street brought me to the Atwood Farm located @ 624 Wormwood Hill Road. This 19th century home is now the headquarters for Joshua Trust – Conservation and Historic Trust, Inc. It will also be open for CT Open House Day 2015 and will have a few of my quilts on display. Here is one of the photos that I will copy digitally onto treated cotton and will use for a new piece of my fiber art. It hasn’t spoken to me yet – though words like “Teeter-totter” come to mind. 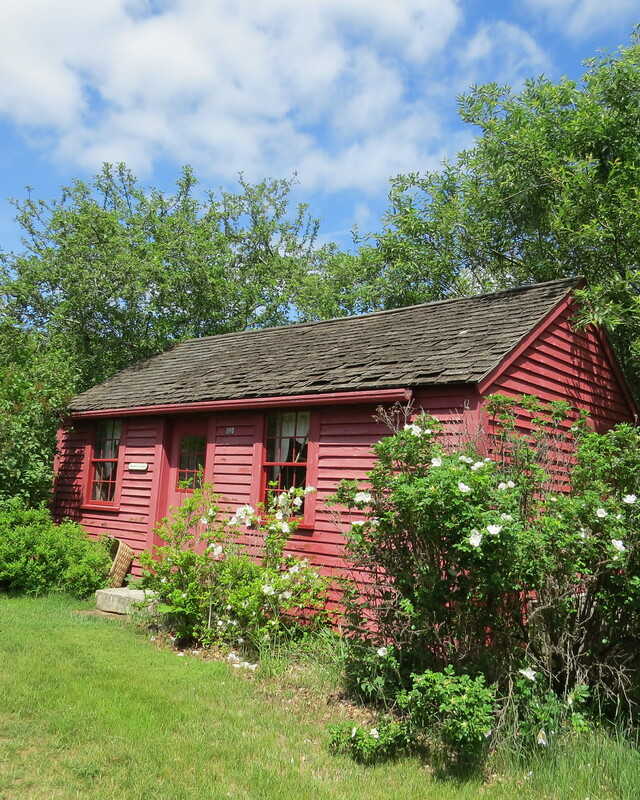 There are many lovely outbuildings on the property. 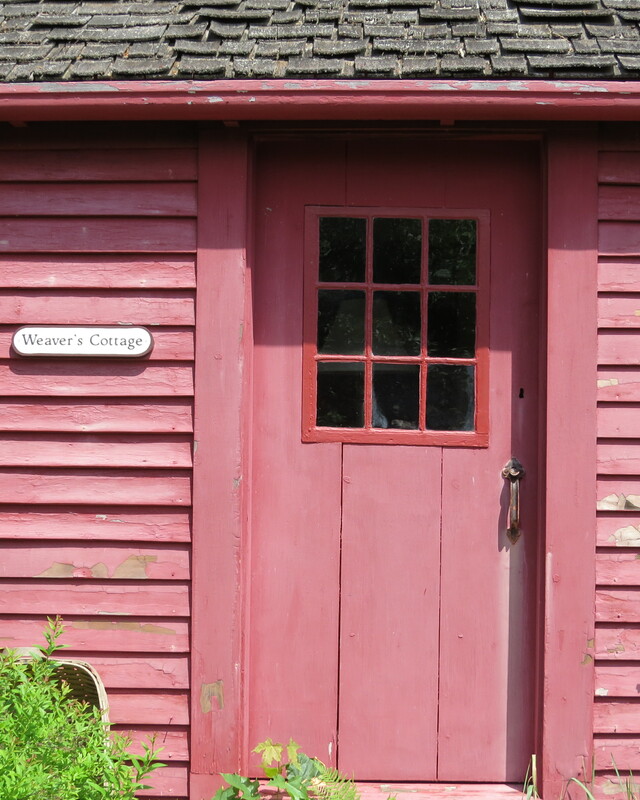 One that will also be open for their Open House Day is the Weaver’s Cottage. Here is a photo of it’s door with a charming sign; and a view of the entire building. I’ve heard a local Chaplin weaver, Peggy Church will be doing a demonstration 0n that day. 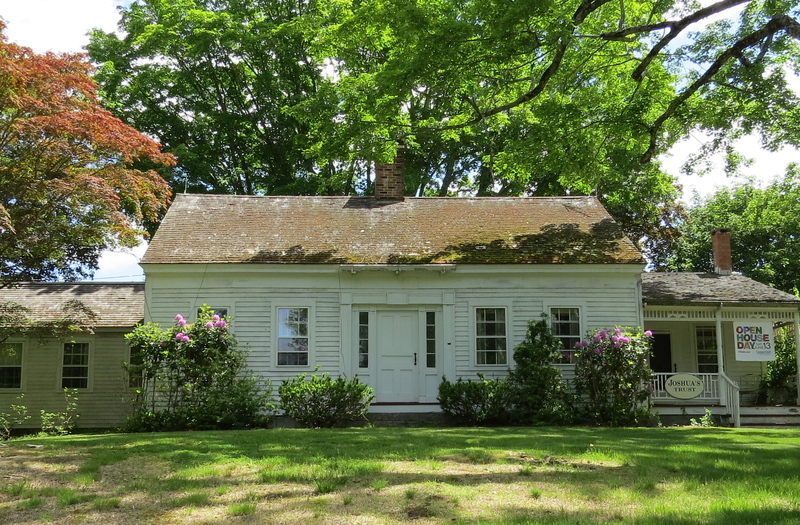 So if you make it out to the “Quiet Corner” for CT Open House Day on June 13th, 2015, stop by my home/studio in Chaplin and the Joshua Trust’s Atwood Farm located in Storrs, CT. This entry was posted in Quiet Corner Artist, Studio Art Quilt Associates and tagged CT OPEN HOUSE DAY 2015, Joshua Trust, Studio Quilts. Bookmark the permalink.